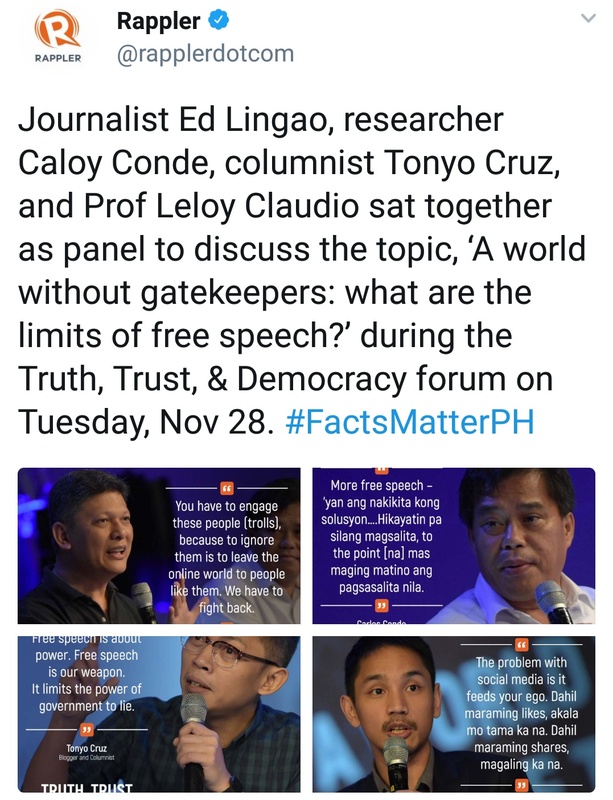 Interesting that social media "influencer" Tonyo Cruz would be part of a panel organised by Rappler (of course) to talk about the "limits of free speech" of all things during a powow of like-minded personalities yesterday that "trended" the hashtag #FactsMatterPH. Perhaps Cruz should look at his own penchant for taking liberties to make unfounded claims about certain people on his own Twitter feed where he posts "blind items" about people that, it seems, he merely does not like. 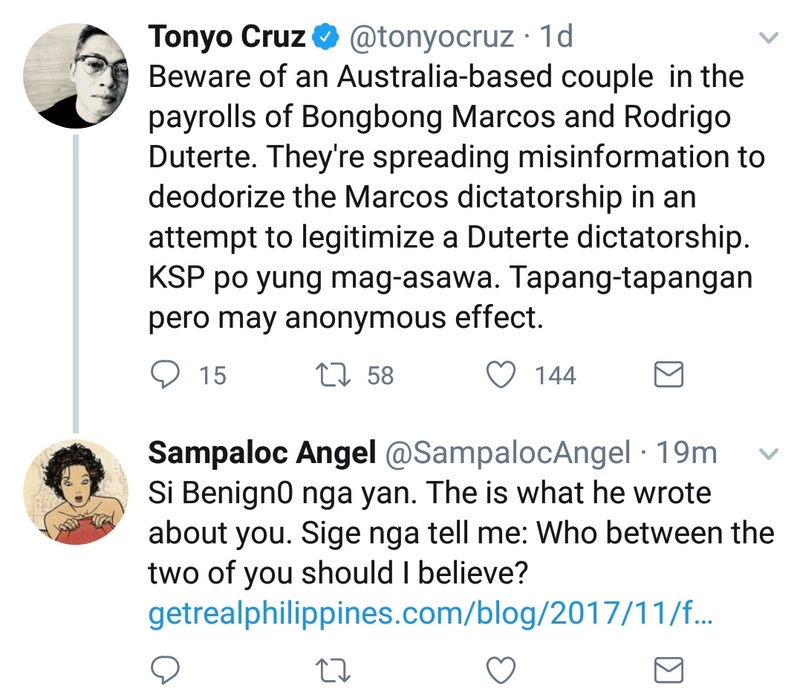 Who indeed should we believe, Mr Tonyo Cruz? 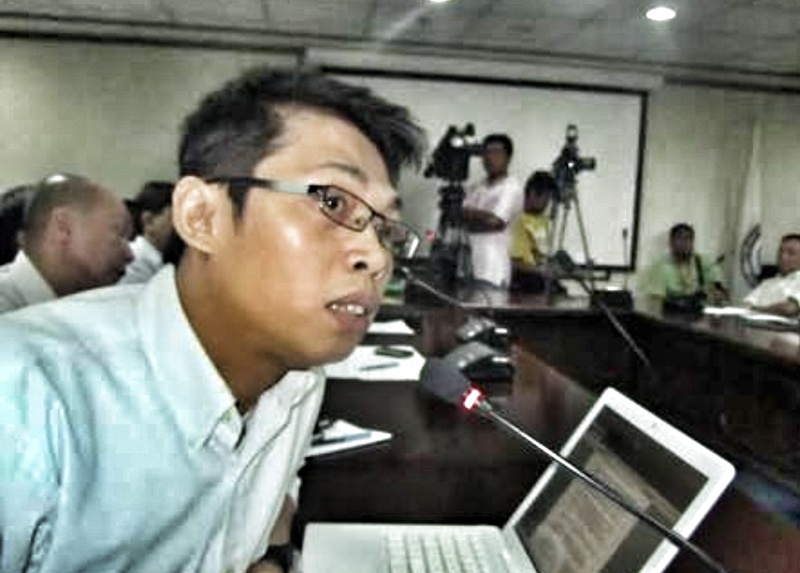 For most intelligent Filipinos, the answer to that question is simple and straightforward. One should trust people who tell the truth. 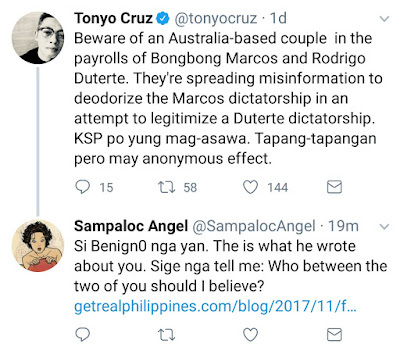 So are you telling the truth, Mr Tonyo Cruz? If so, show us proof that you are. 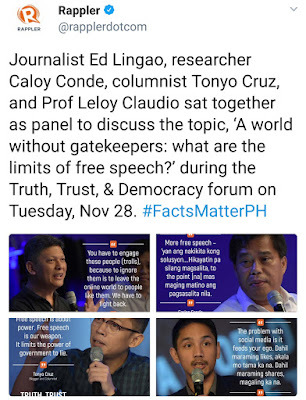 There are, perhaps, "limits to free speech" as you and your amigos keep screeching about. But it seems you are the one who understands the notion the least among them. And we wonder why mainstream media's credibility continues down its death spiral.